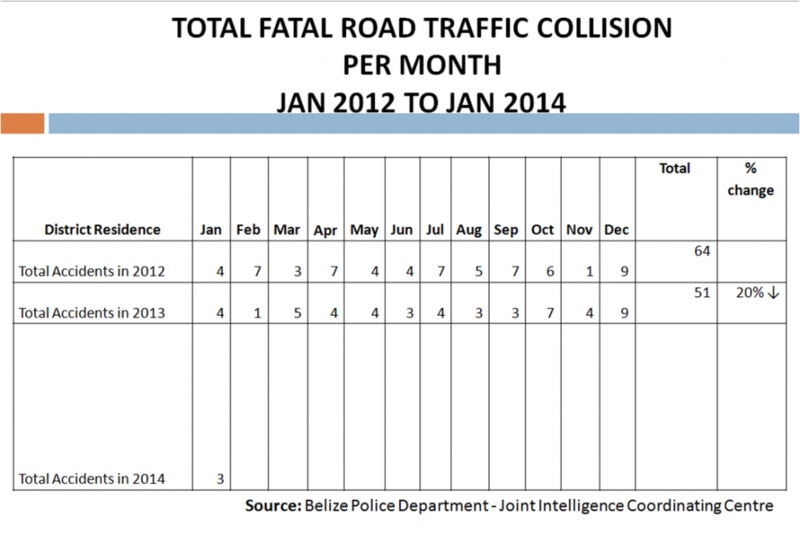 Belize is investing in making roads safer. Progress seems slow, but people are the centre of our efforts because of the nature to save lives on our roads. Sympathy is extended to all who was impacted by the lost of a loved one, friend or colleague. Join us in tracking fatal road traffic collision each month and comparing it to 2012 and 2013 statistics (Source: JICC). Road safety is everyone's responsibility and only together we can save lives using an integrated model designed for you.